Connectors - BNC-17BLK - Only $29.95! The BNC-17 will allow you to convert any RCA connection into a BNC connection. 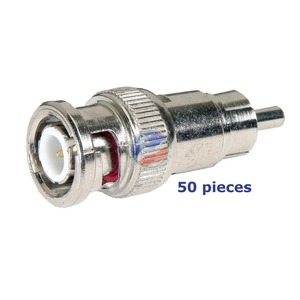 A female RCA connector will attach to the male end, and convert the video signal into BNC.